The hopes from the Patriots’s opponents that the 40-year-old Tom Brady would go into decline this season proved to be – wishful thinking of the highest order. Brady is at the top of his game showing little sign of his age and this is a Patriots team that’s not too knocked about. As usual, whatever gaps have been caused by injuries have been quickly shored up by the next man to step into the breach. The only potential worry for the Patriots would be if the ferocious Philadelphia defense gets to Brady and sacks him enough or even knocks him out of the game with an injury, then all of the Patriots hopes would rest on the shoulders of journeyman QB Brian Hoyer. How clever would the Patriots’ decision to trade Jimmy Garoppolo to the 49ers look then? Massachusetts is not a craft brewing heaven in the mould of Washington or Colorado but it is the home of the brewery often credited with kickstarting the whole movement in the US. Boston was the home of the American Revolution, cradle of the constitution and literal cradle of such historical figures as John Hancock, John Adams, Benjamin Franklin and, of course, Samuel Adams. By tradition a brewer himself, the name of the Revolutionary hero was picked by the Boston Brewing Company for its flagship beer when it launched in 1984 and the brand today is much better known than the brewery’s actual name. 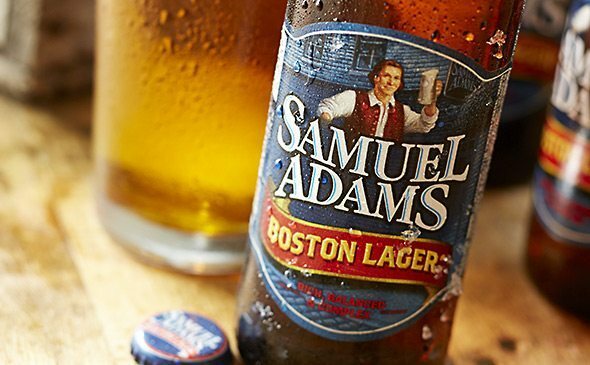 Considered one of the pioneers of US craft brewing, Boston Brewing/Samuel Adams is now ranked as the biggest craft brewer in the country though with a production of around 2.5m barrels a year compared to Budweiser’s 16m, Sam Adams is hardly “big beer”. An icon of American brewing and of great importance to the craft brewing movement, “Boston Lager” should be the beer of all true Patriots fans come Super Bowl Sunday. There are other Massachusetts brews to consider of course and this wouldn’t be much of a guide if it didn’t address them. Highly rated breweries include: Harpoon, Clown Shoes, Portico, Westfield, Tree House and Naukabout to name but a few.